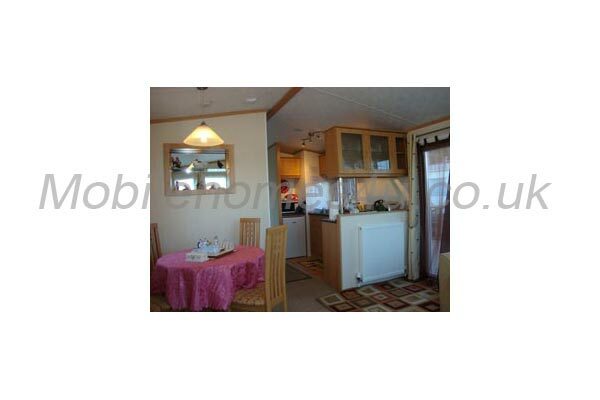 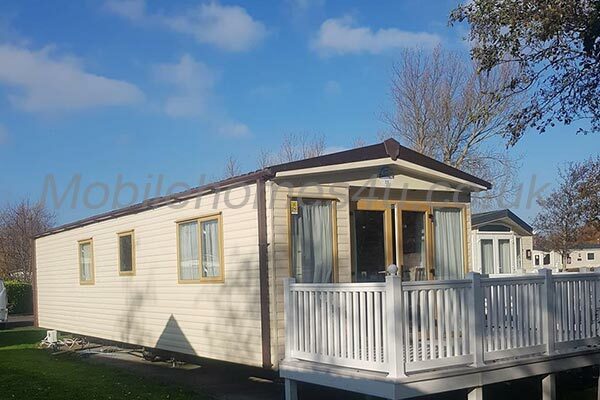 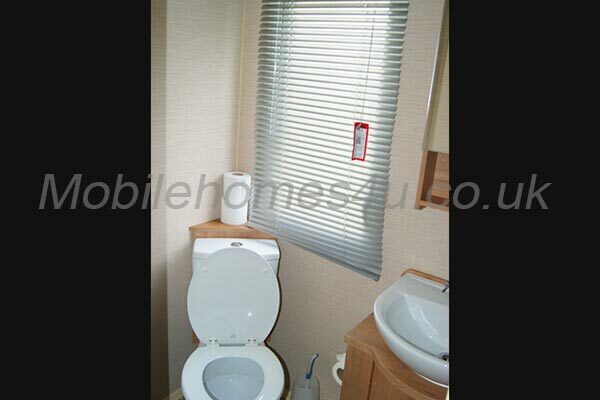 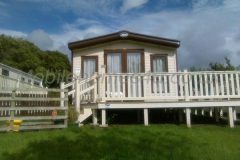 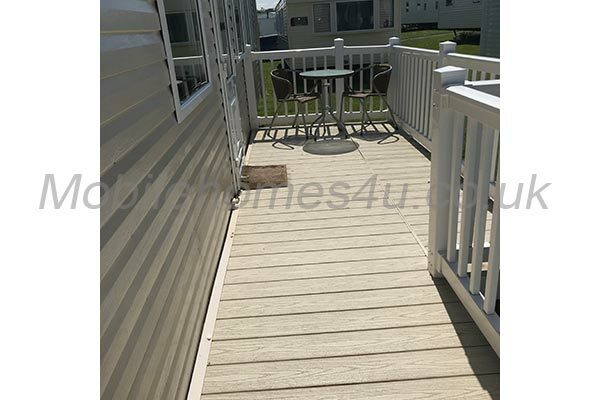 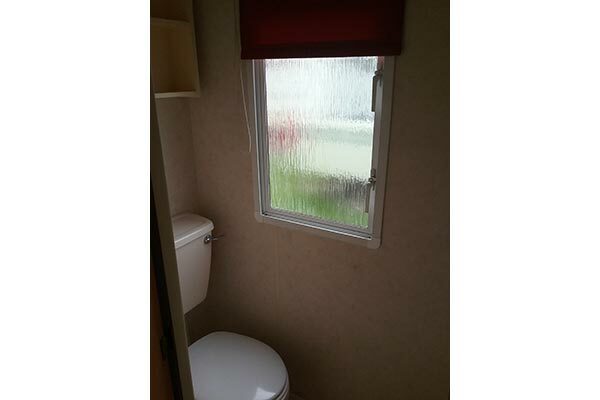 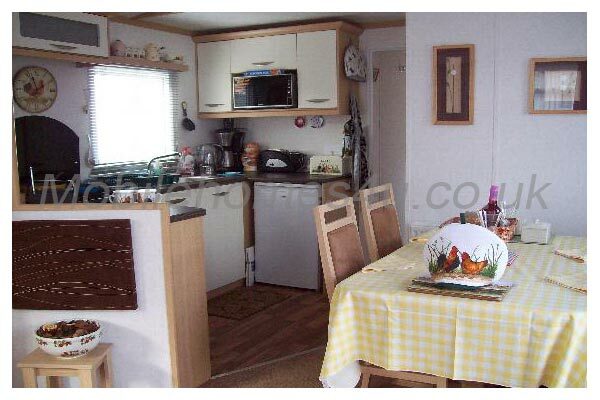 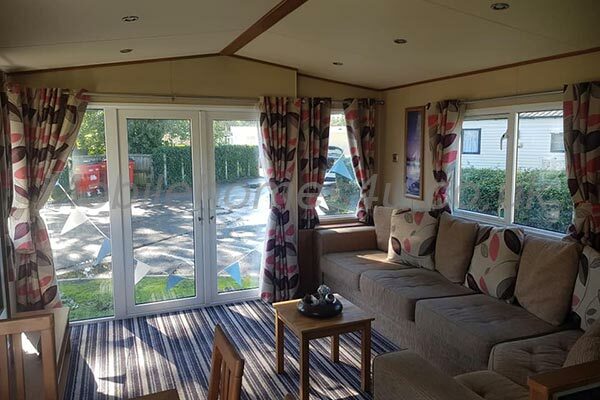 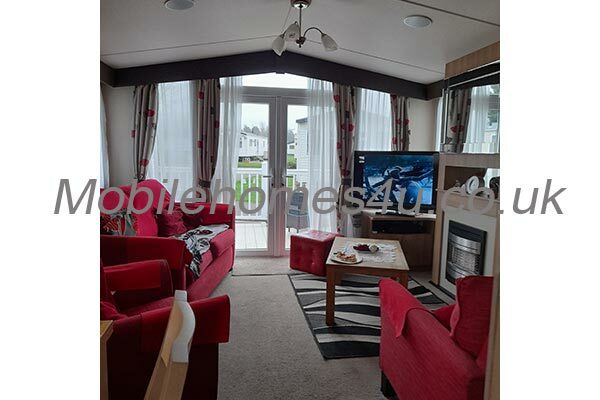 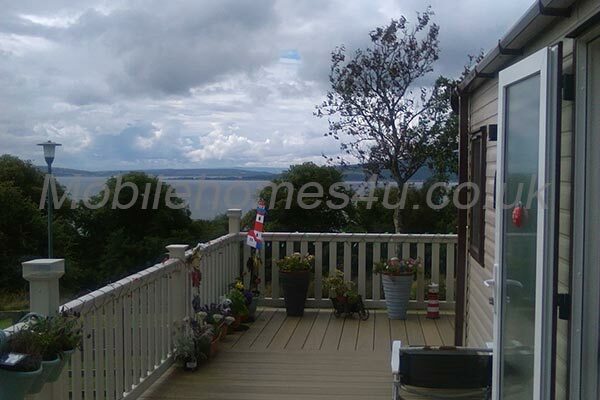 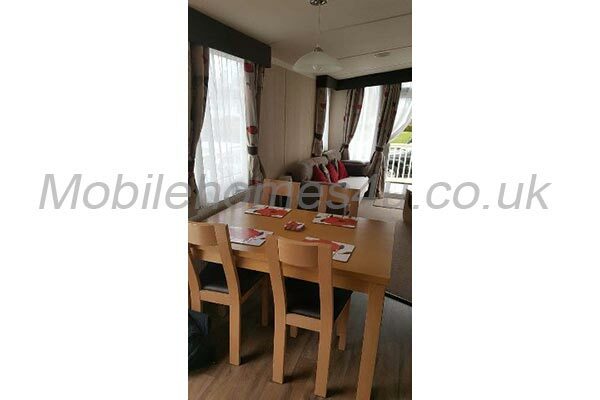 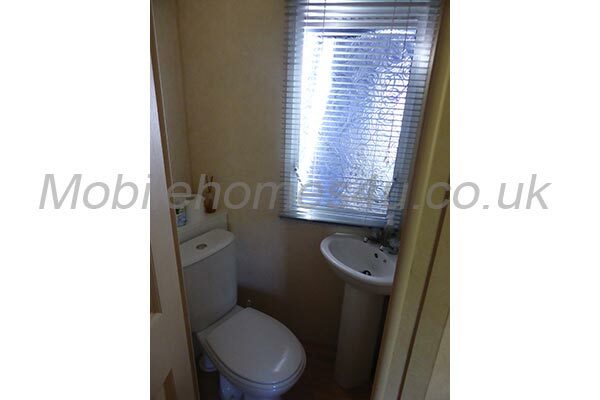 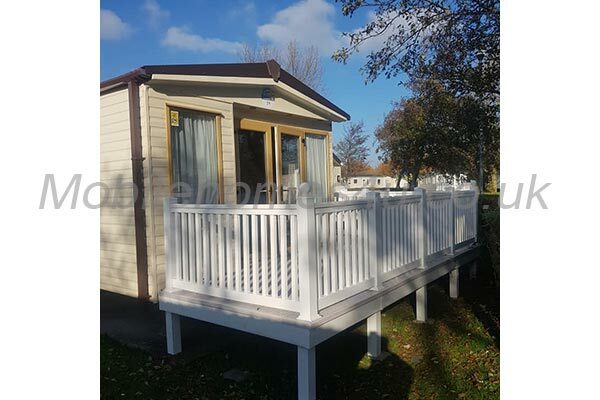 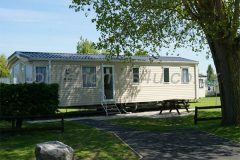 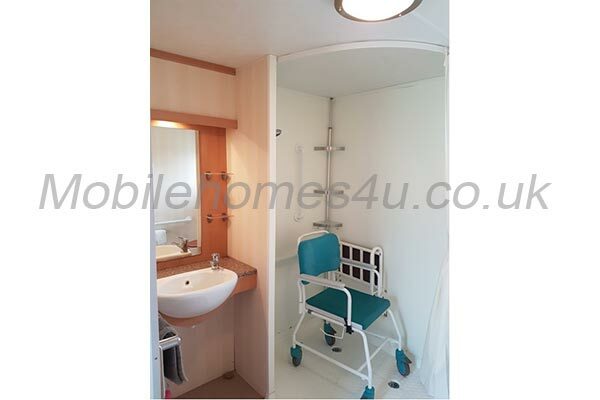 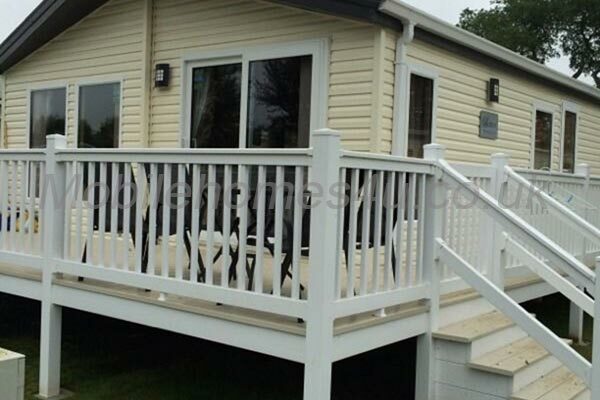 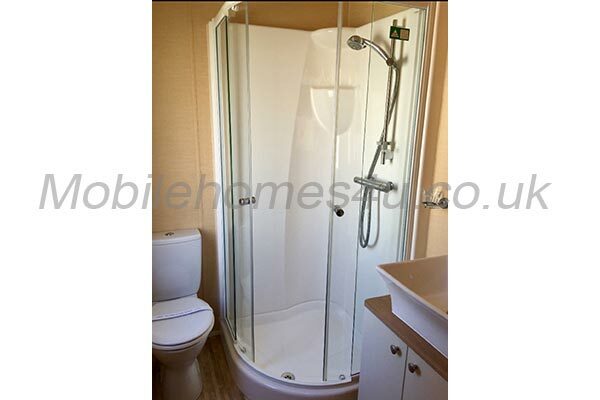 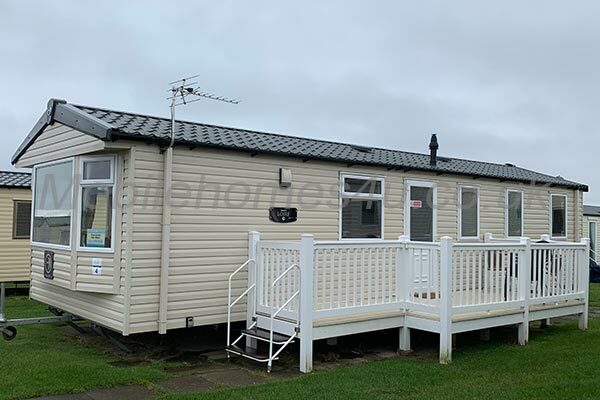 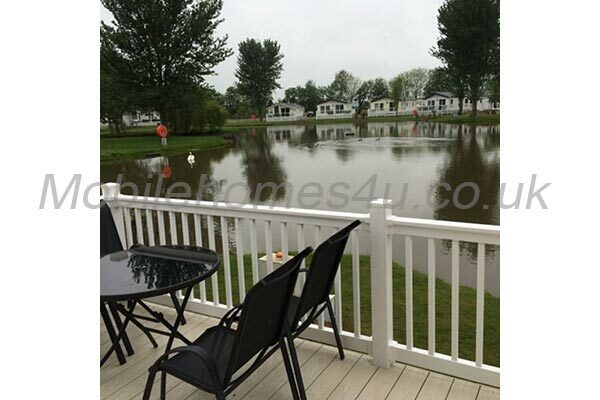 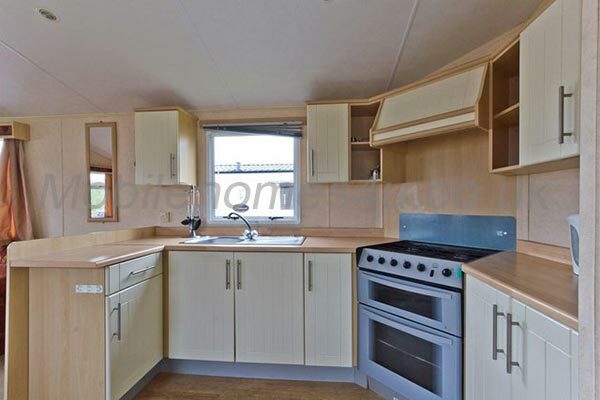 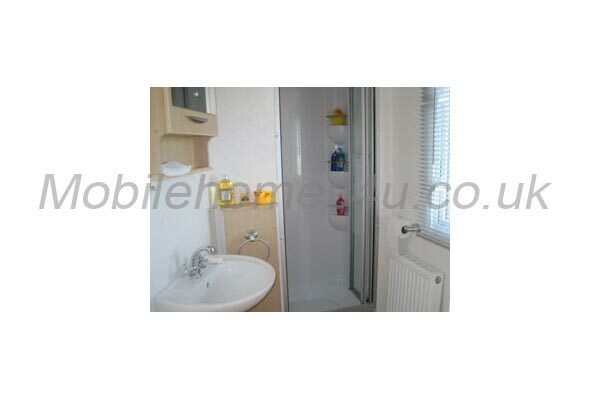 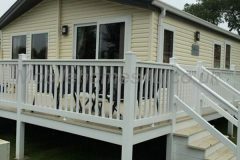 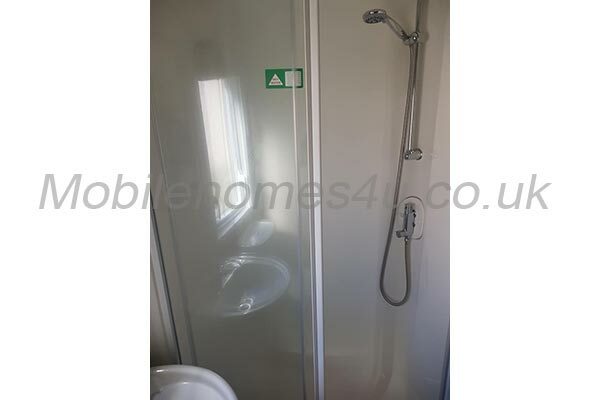 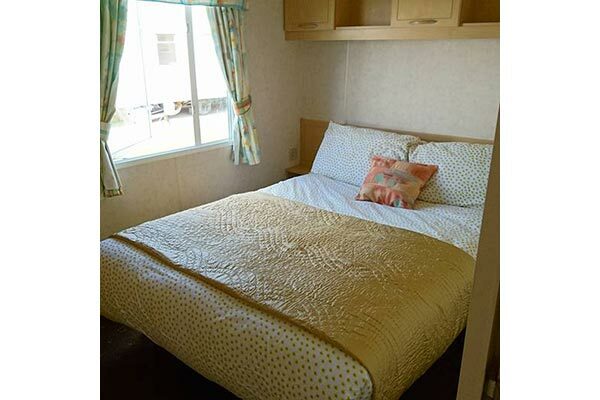 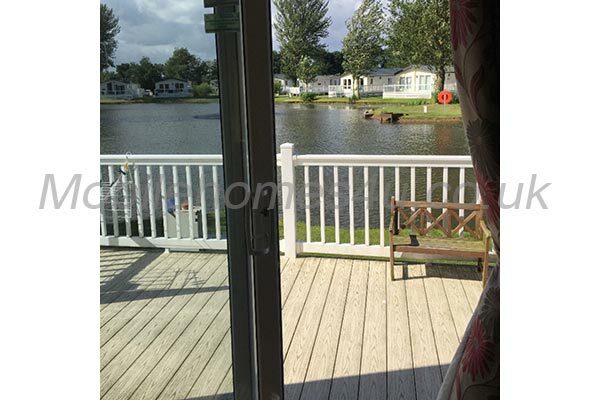 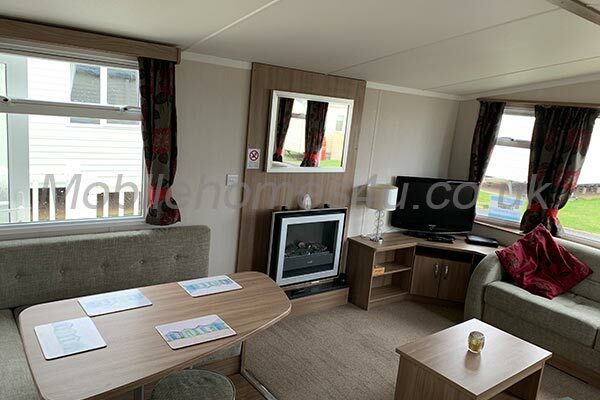 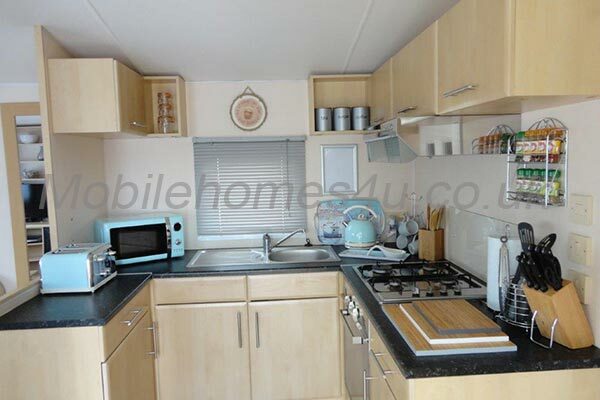 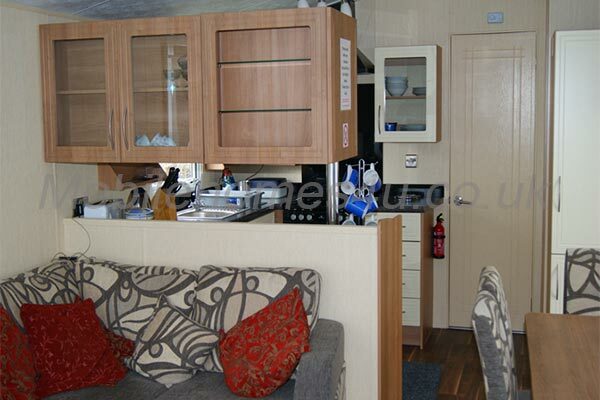 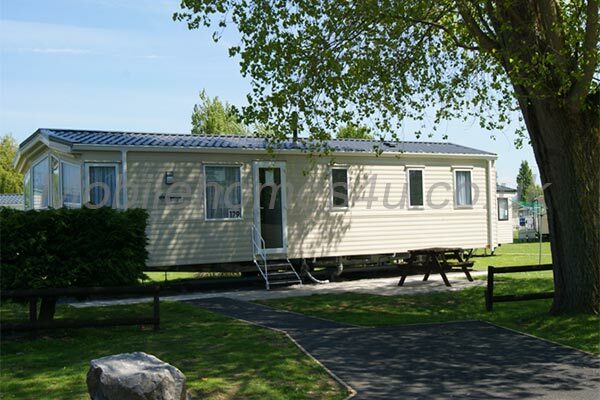 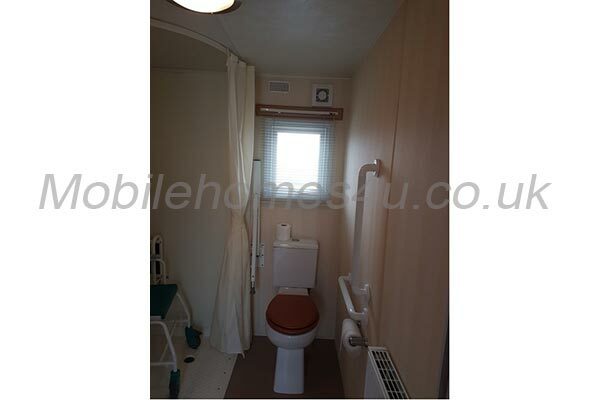 Double glazed static caravan situated on a quiet site at Oakfield caravan park next to Palins near Rhyl, Wales. 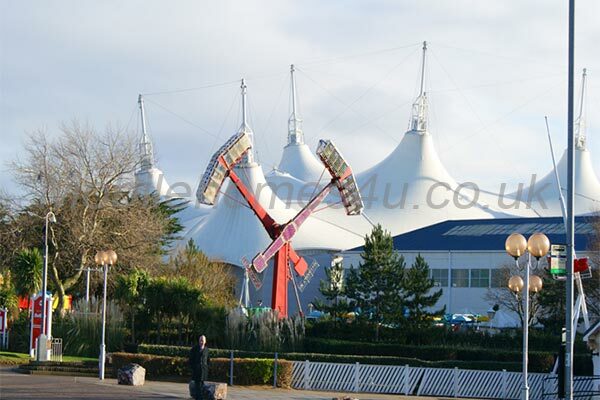 5 mins from the Tir prince funfair. 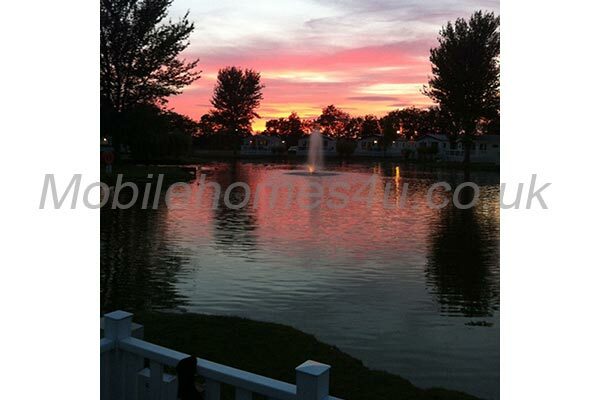 You have access to the other Lyons sites. Wifi available from Oakfield and Palins. 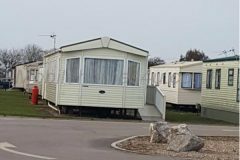 Please note: park passes are not included in the holiday price, but can be ordered and paid for with final balance so you can start your holiday off as soon as you arrive at the park. 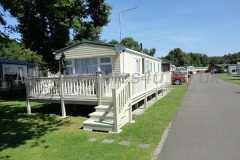 Also on the park there is a grocery shop, fish & chip shop, launderette, a pub/restaurant, hair dresses. 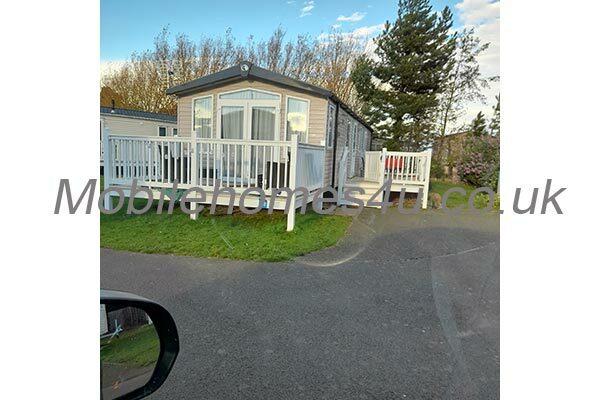 With a fantastic line up of evening entertainment from live shows, tribute bands and great stand up comedian, bingo means you will have a ball during your stay. 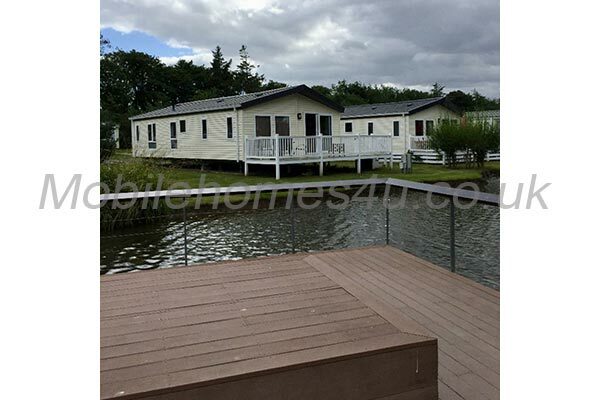 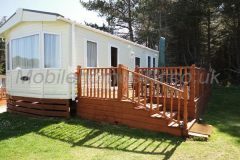 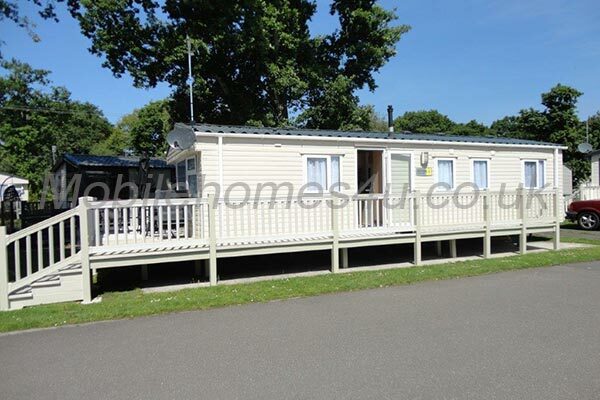 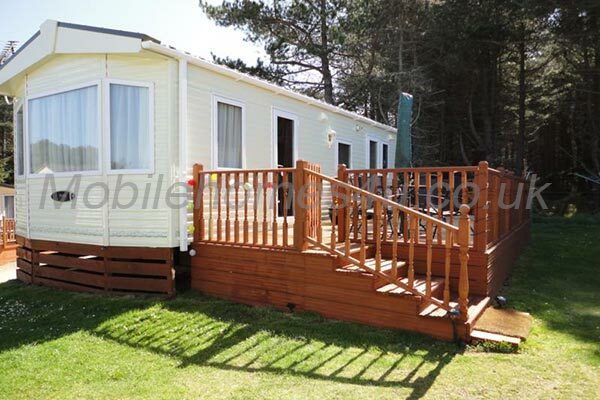 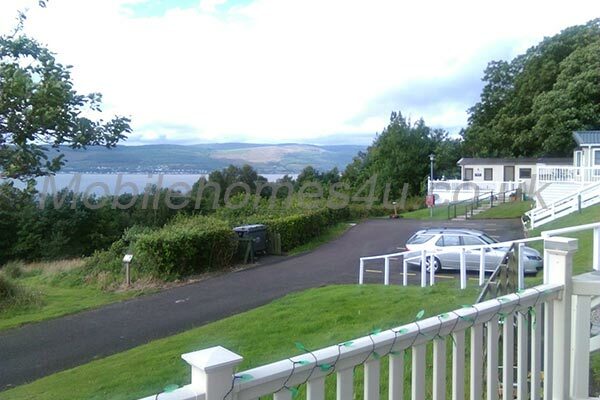 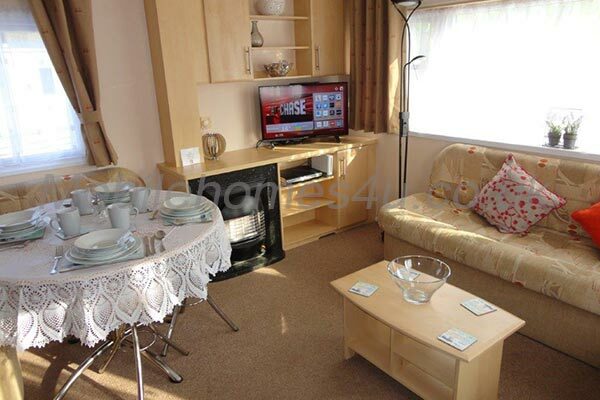 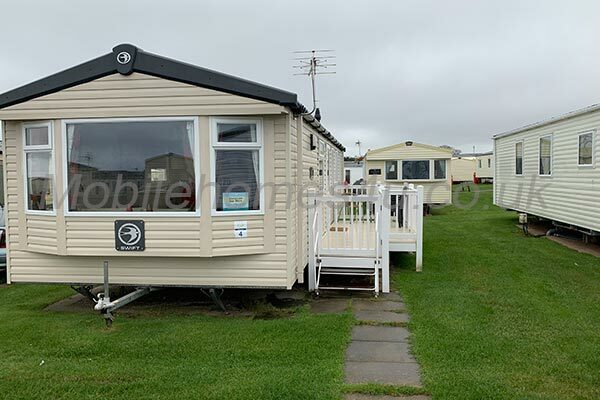 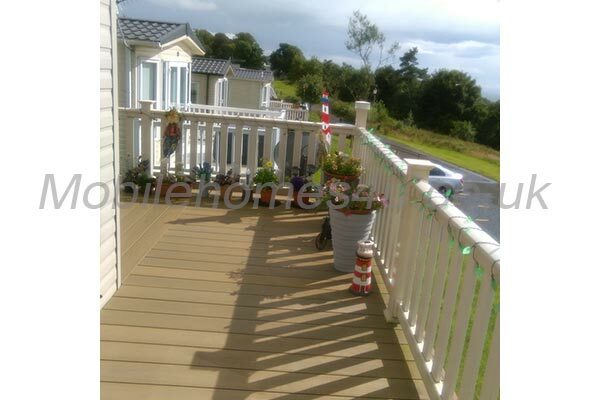 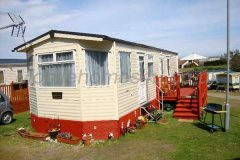 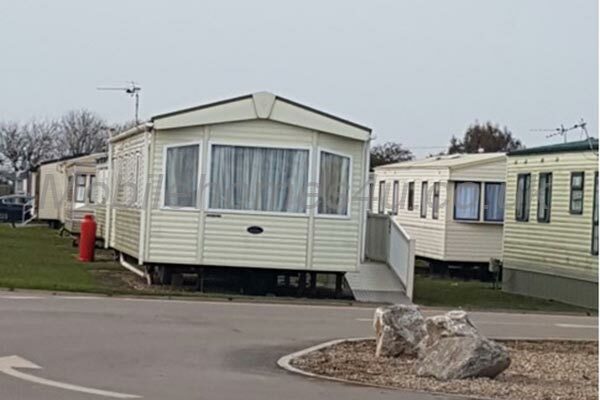 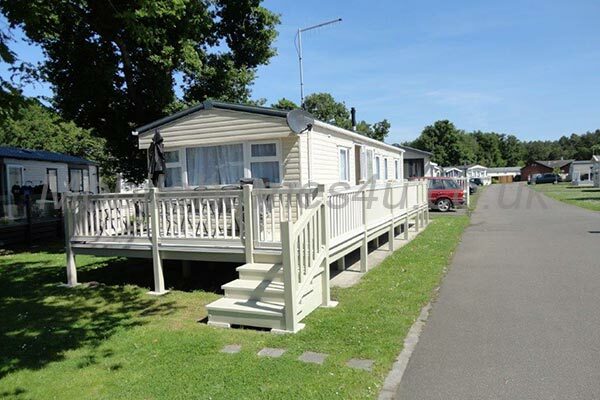 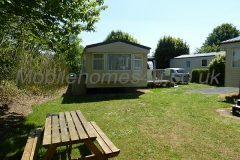 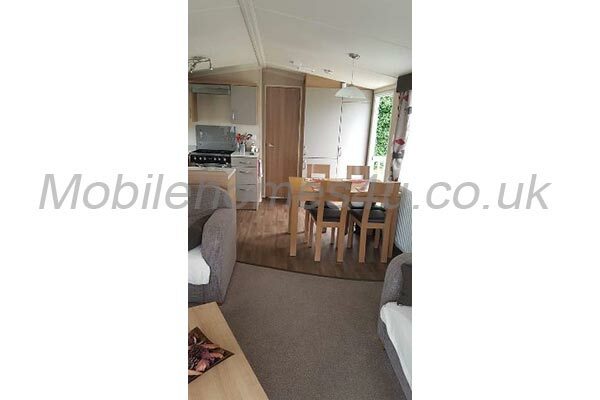 Wi-fi access is available in caravan and in communal areas. 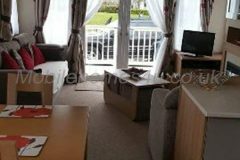 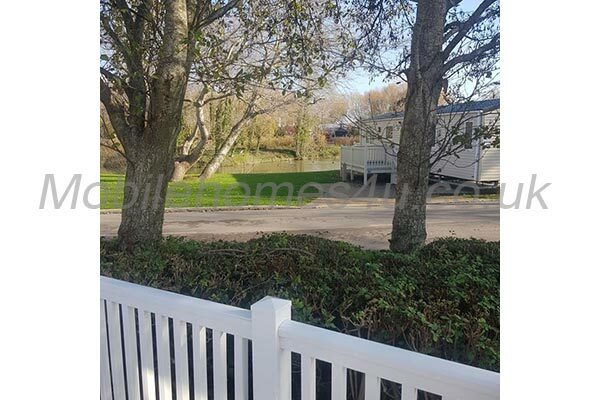 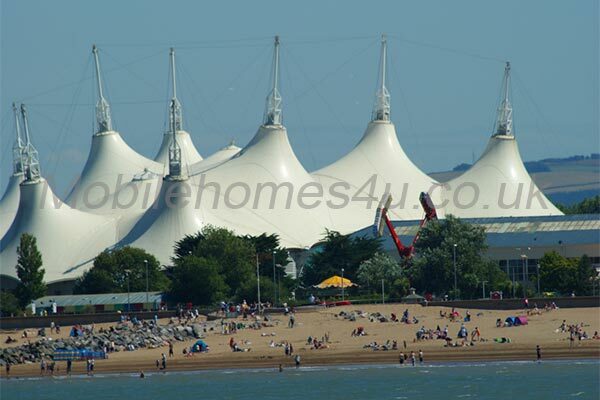 Local amenities: Beach just 5 minute walk, 2 fun fares across the road is a fantastic outdoor market with new and car boot-sale stalls, pubs, restaurants shops. 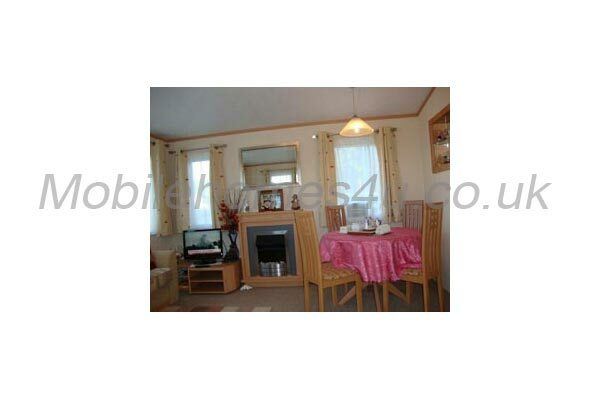 Turn right out the park 3 minute drive is Asda and 5 minute away is Rhyl. 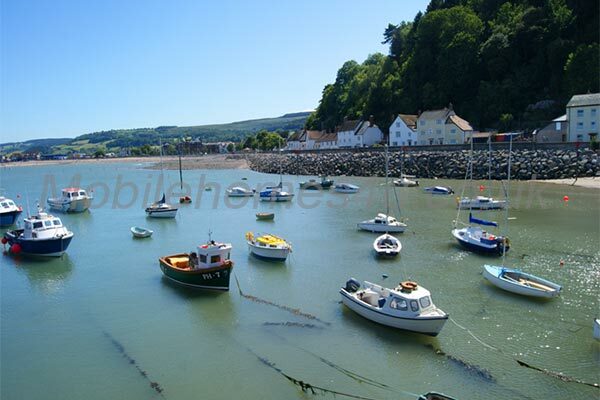 Turn left out of the park 10 minute drive is Abergele rail station. 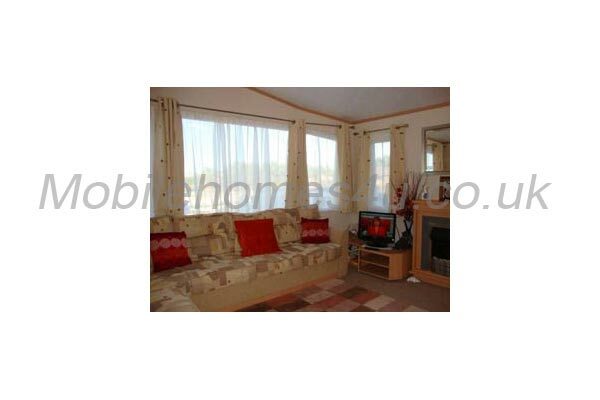 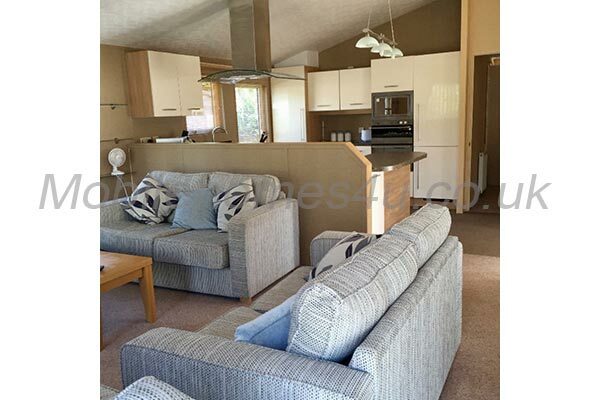 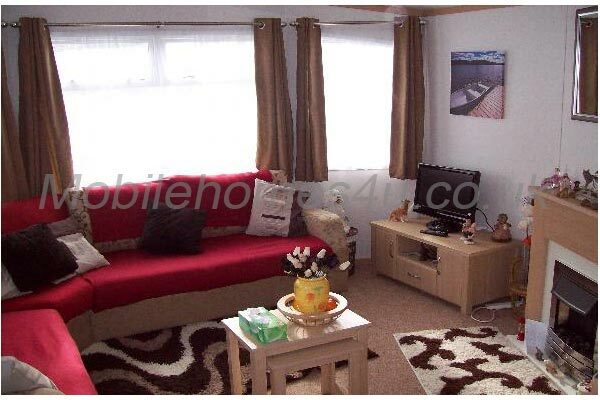 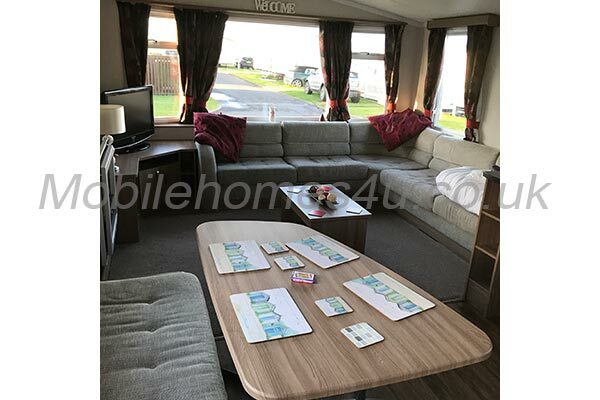 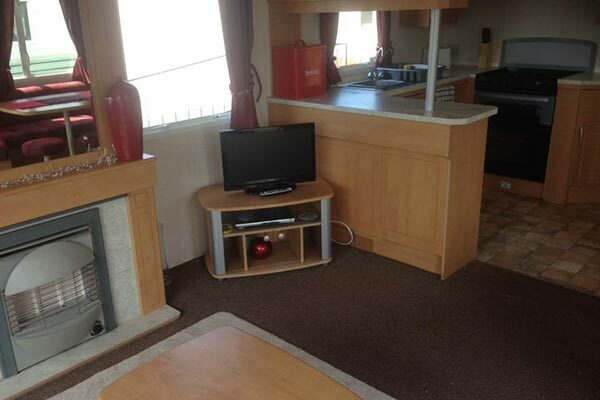 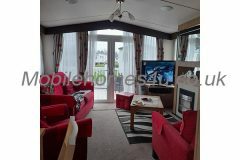 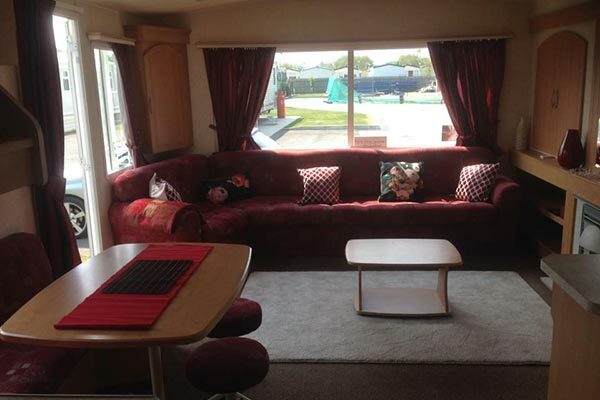 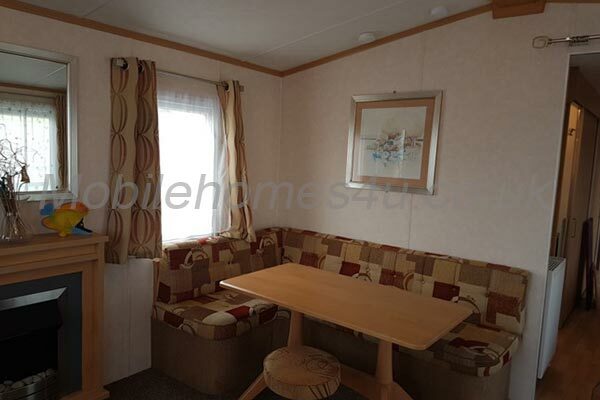 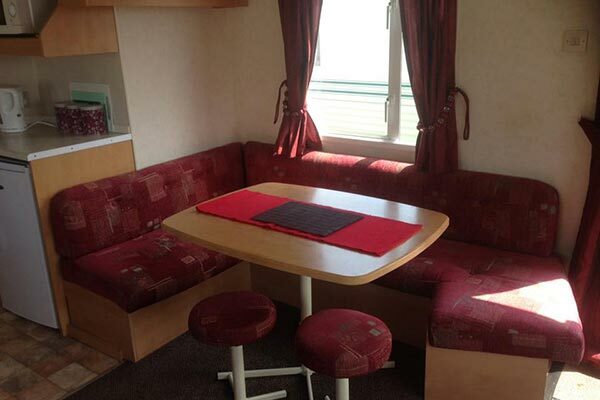 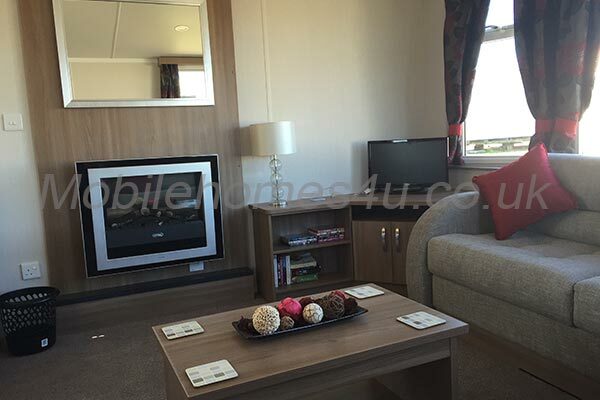 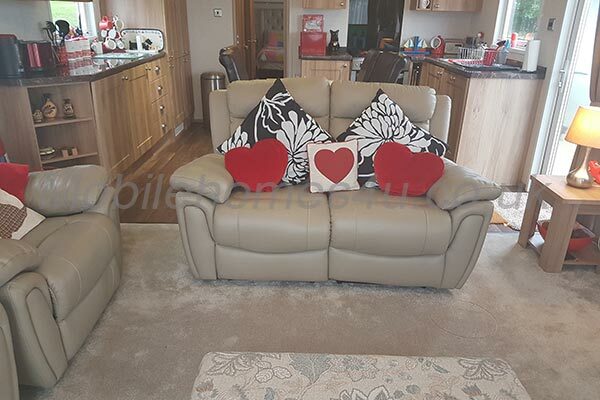 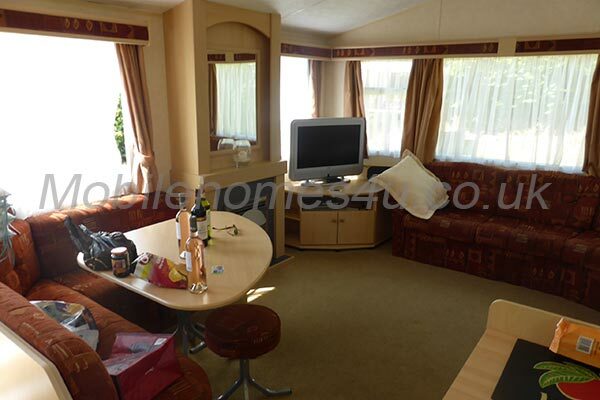 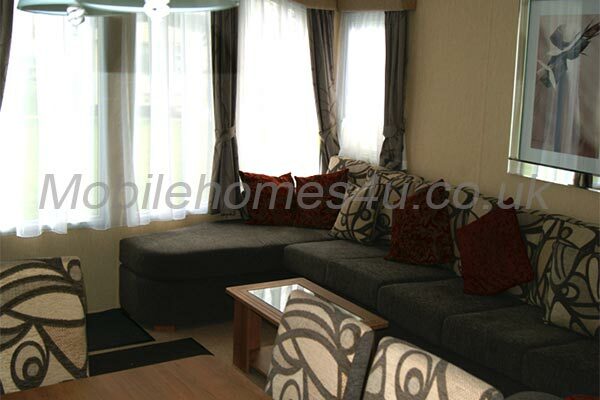 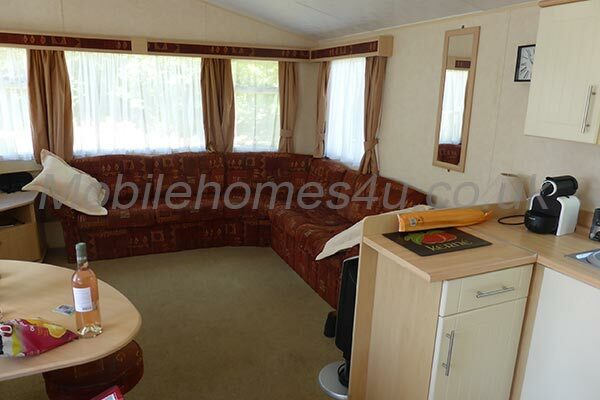 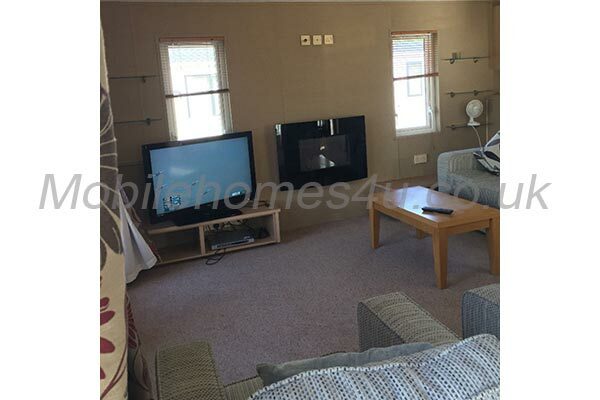 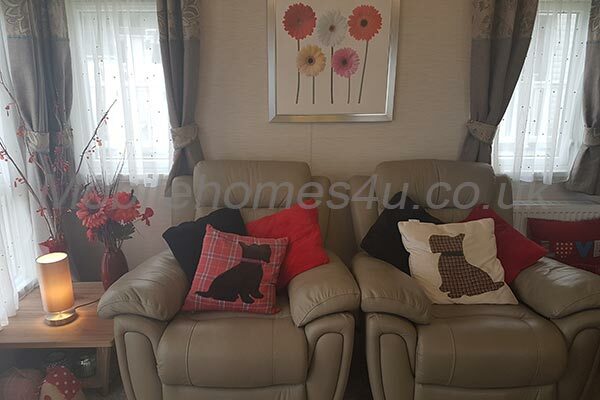 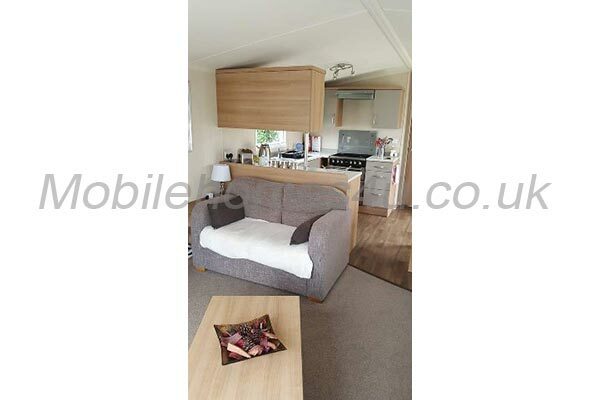 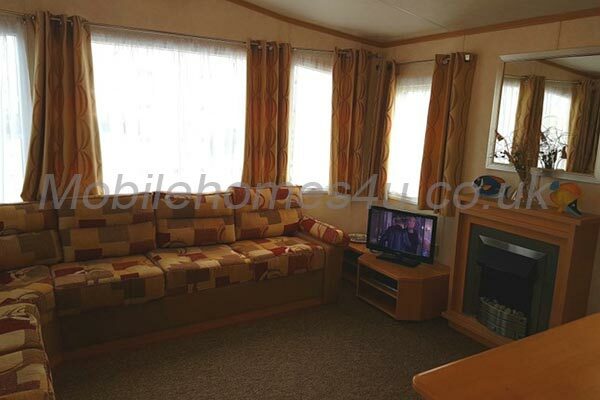 The lounge area is both comfortable and relaxing with 22” with free view additions DVD player and gas fire. 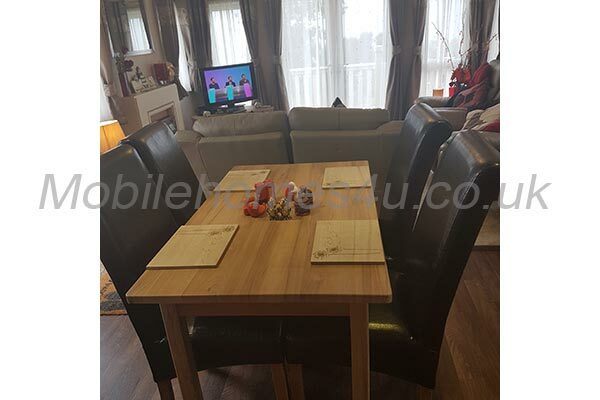 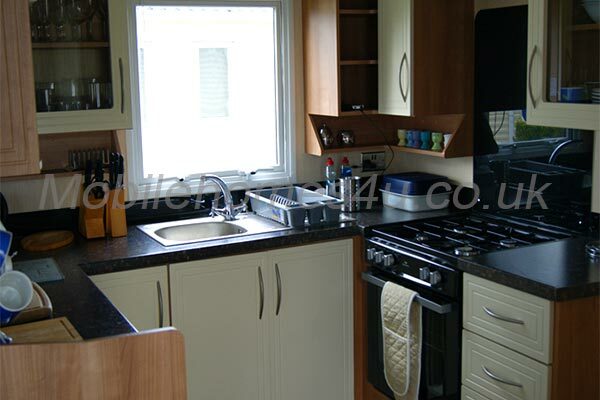 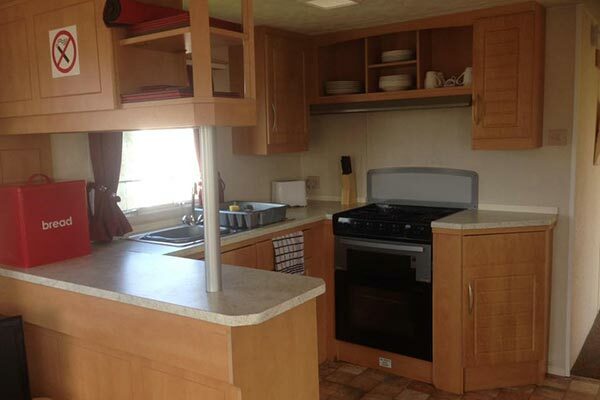 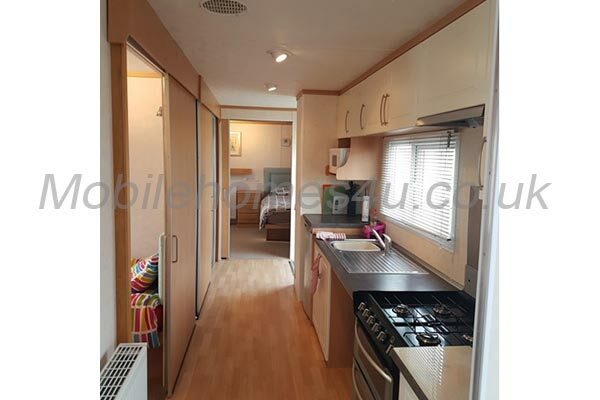 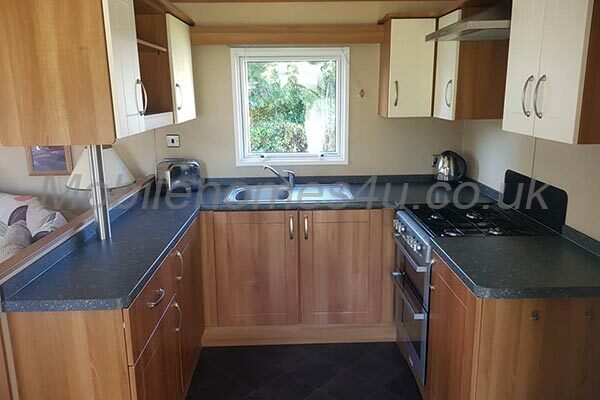 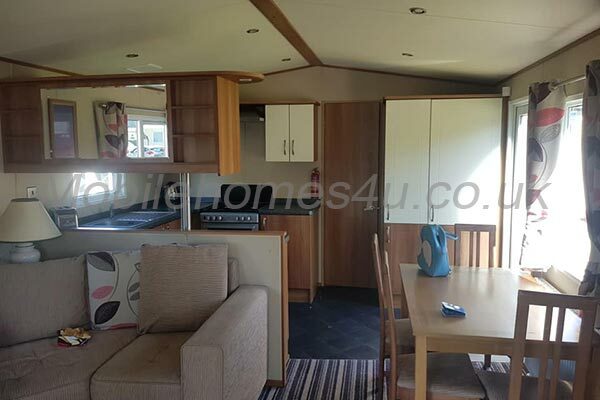 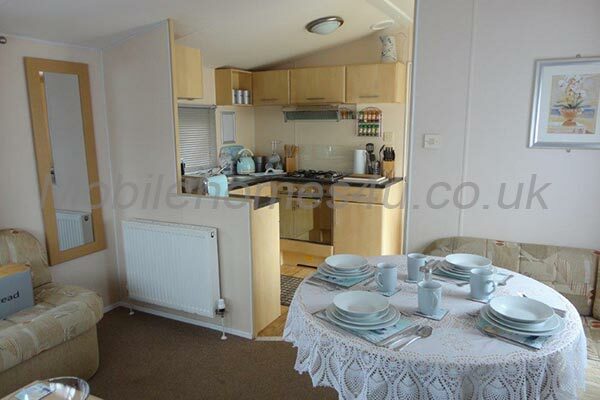 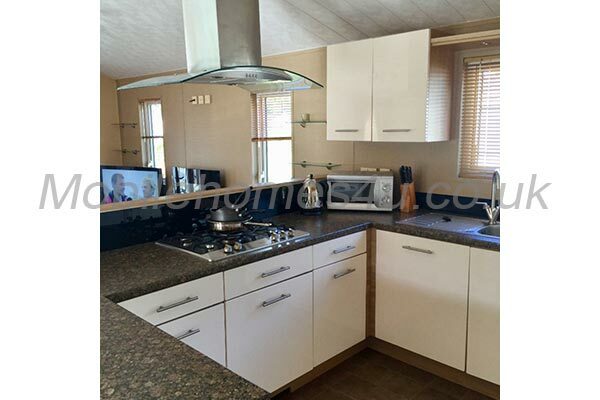 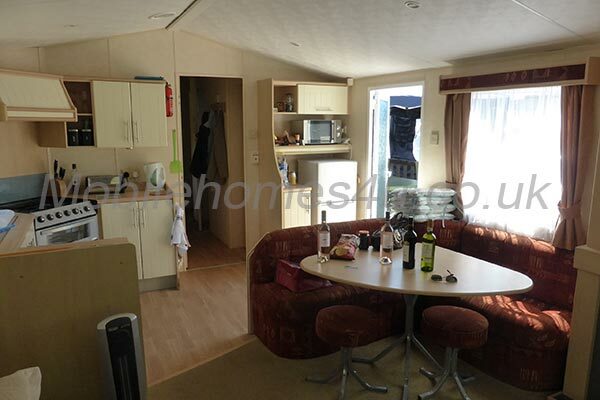 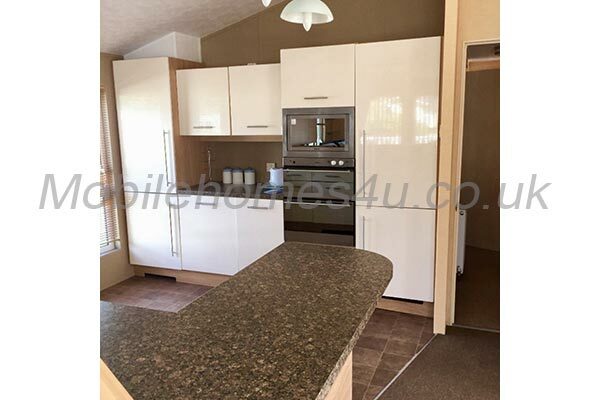 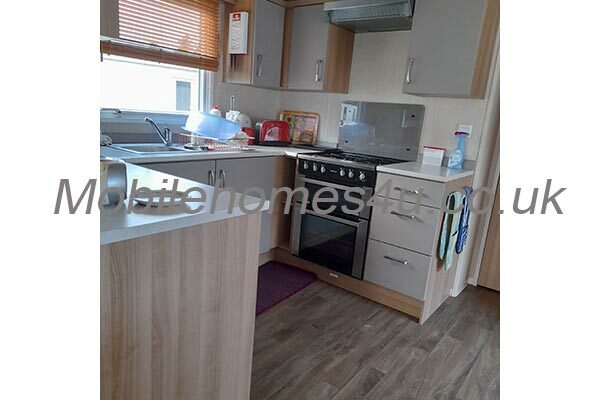 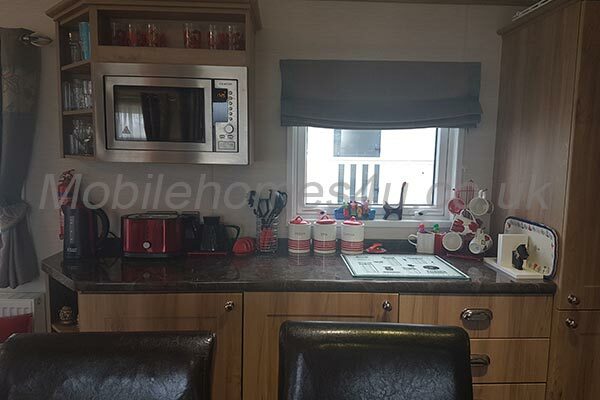 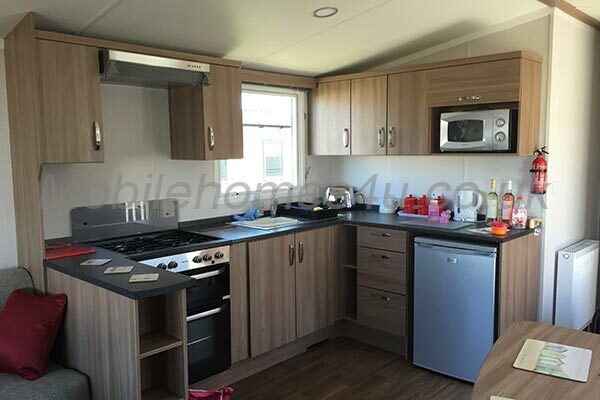 The kitchen area is well equipped with 4 burner cooker, toaster, kettle, microwave, pots, and pans, crockery, cutlery, fridge, Iron,small table top Ironing board. 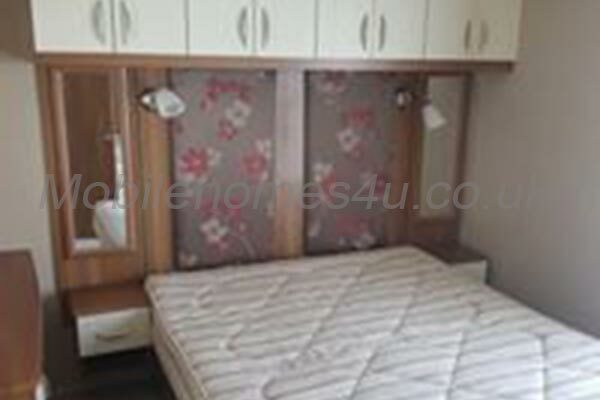 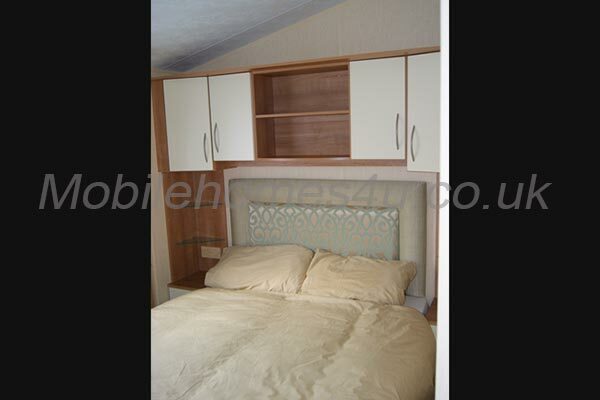 The Master bedroom has a double bed double wardrobe and vanity. 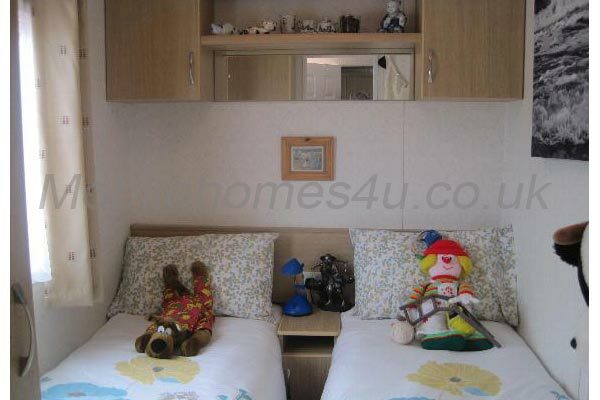 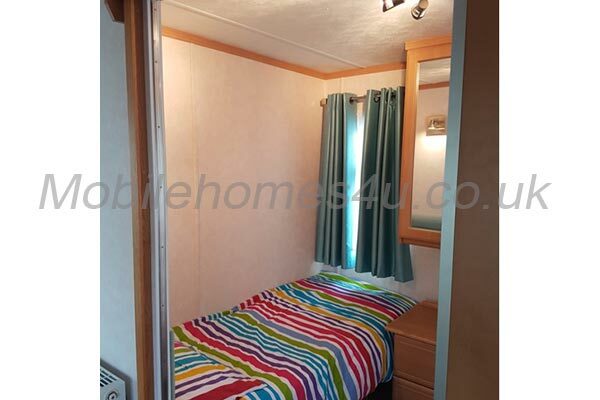 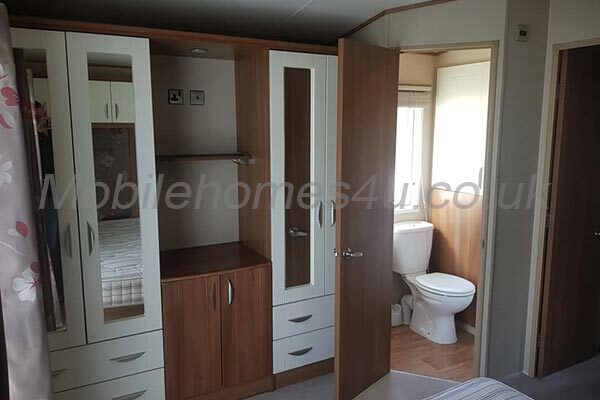 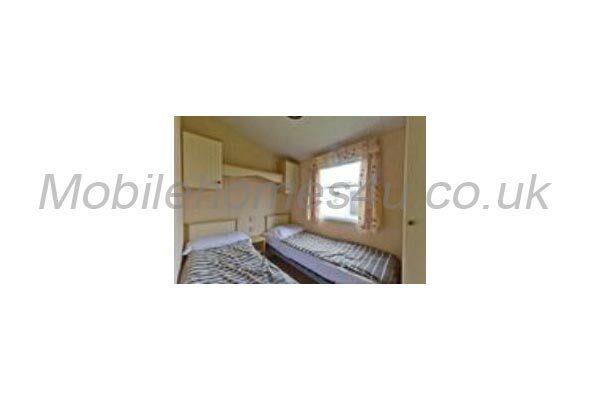 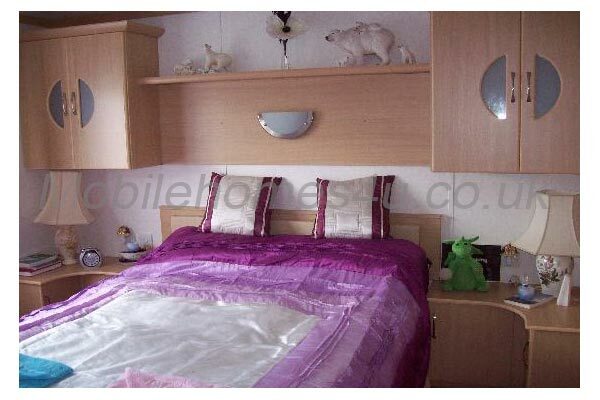 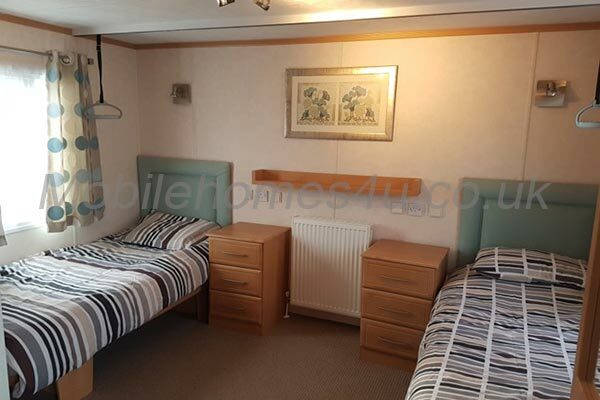 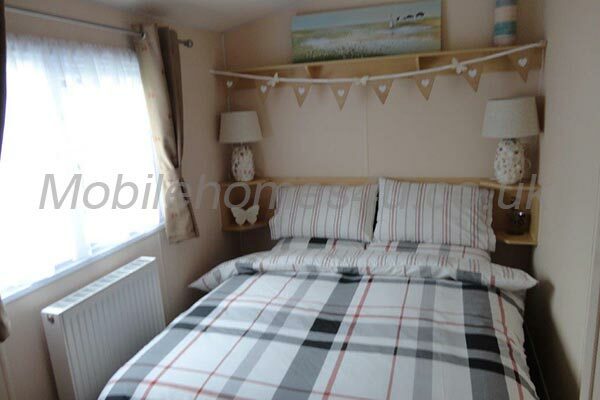 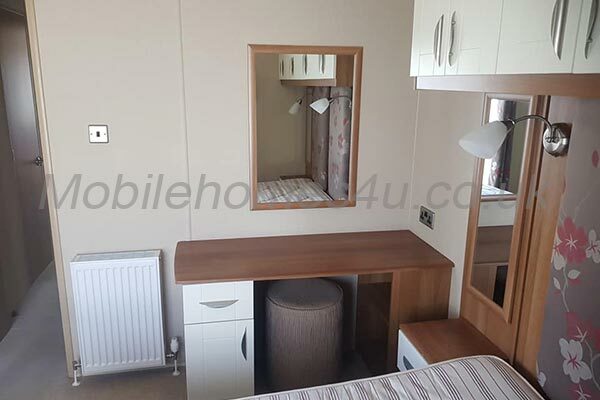 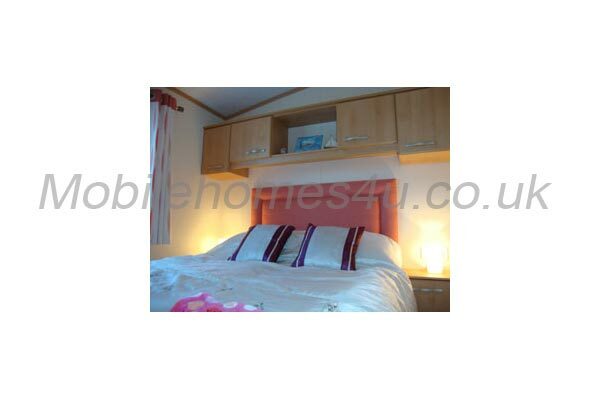 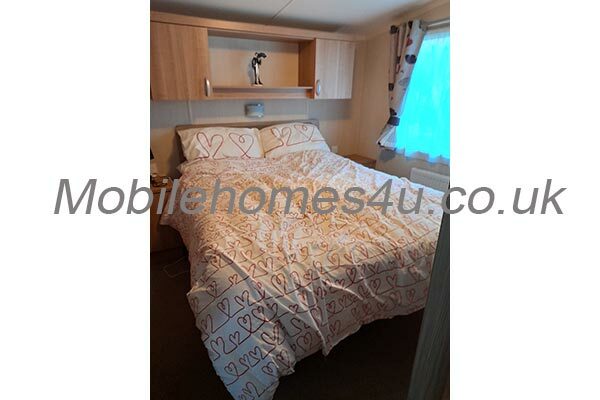 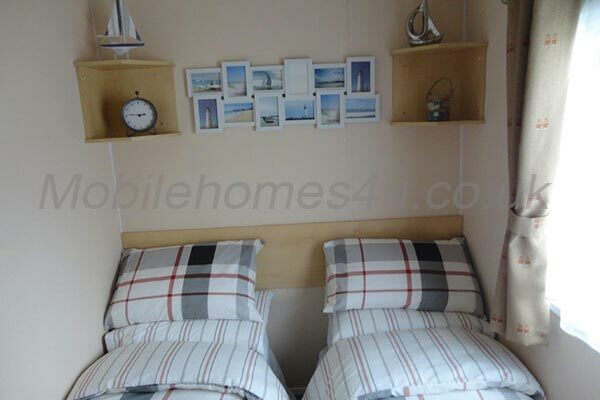 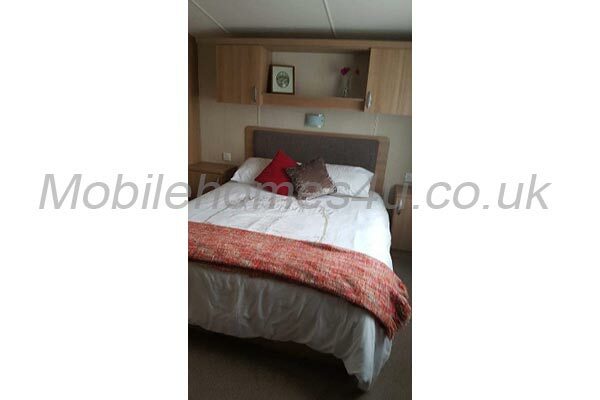 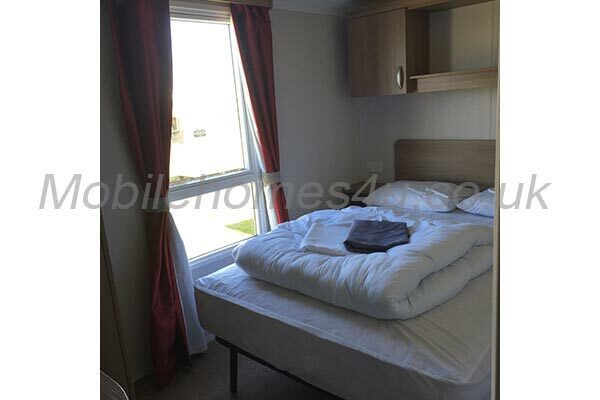 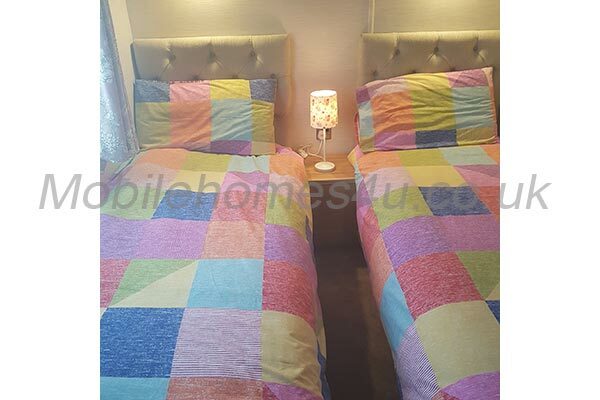 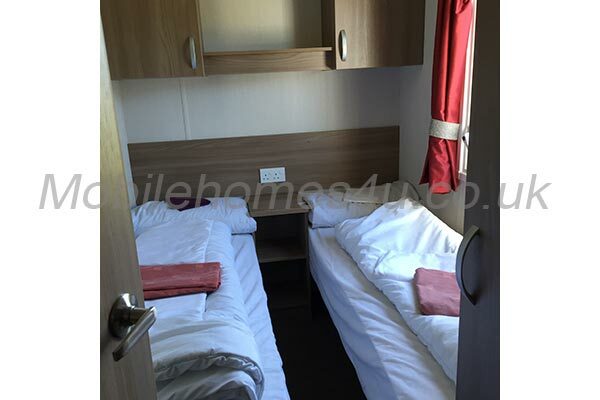 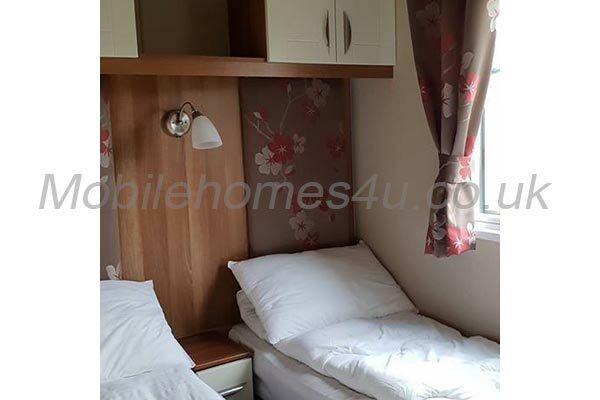 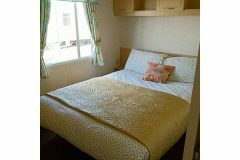 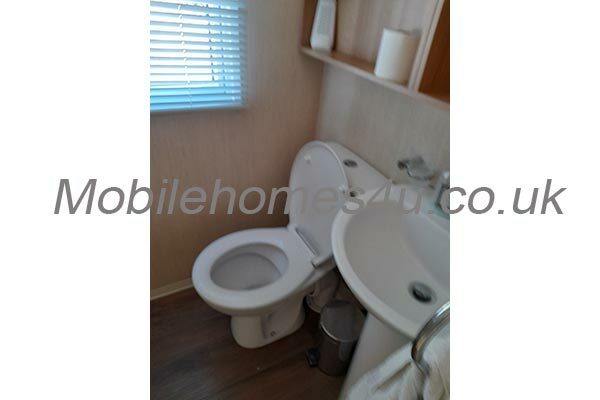 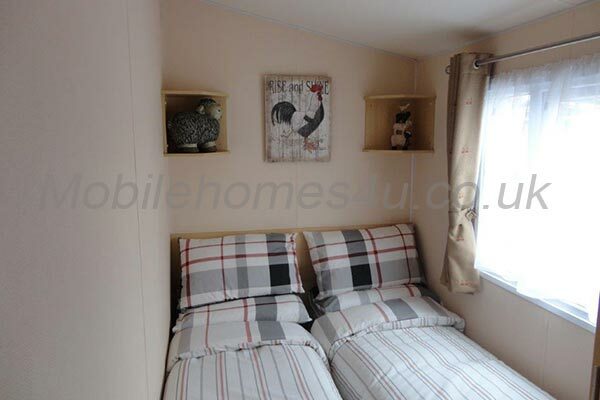 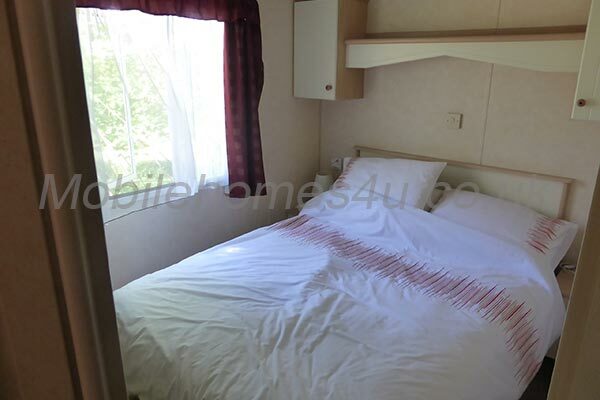 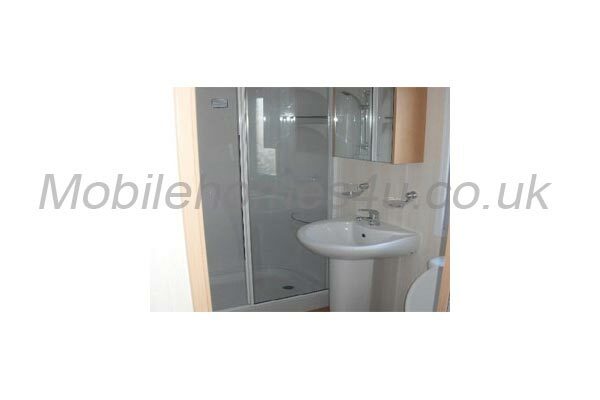 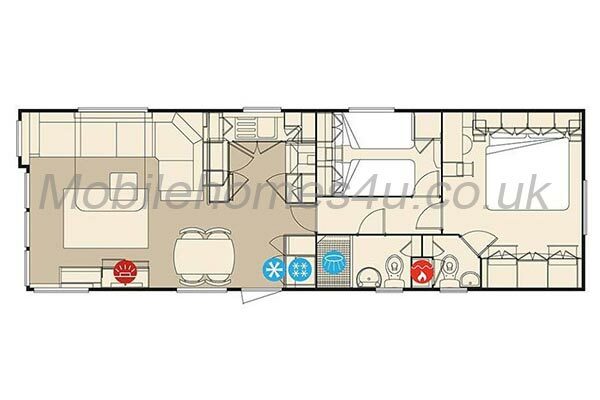 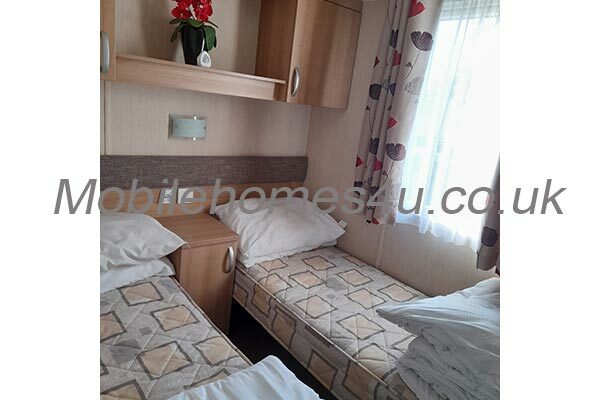 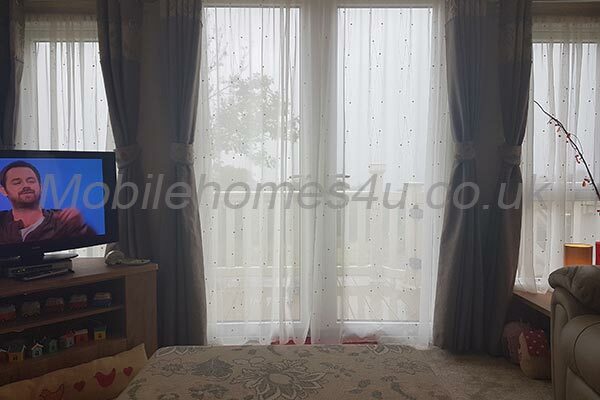 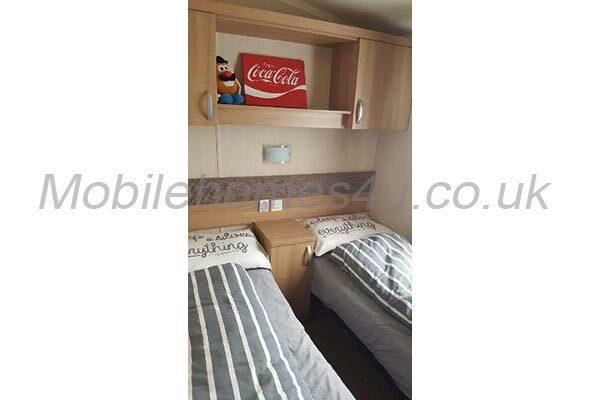 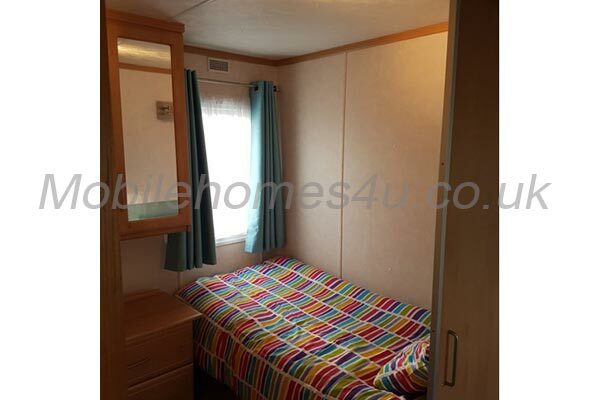 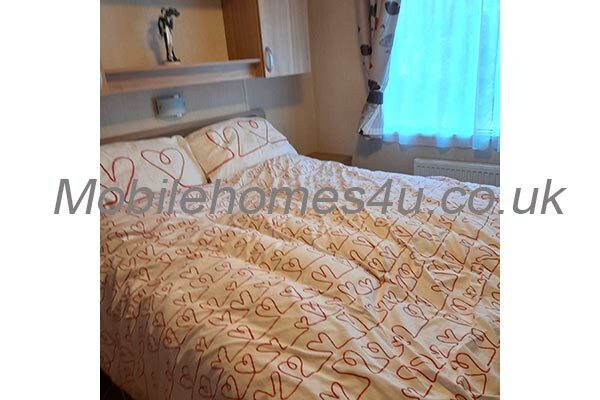 2 twin bedrooms with 2 single beds in. 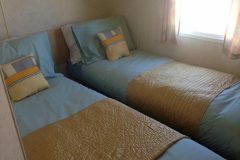 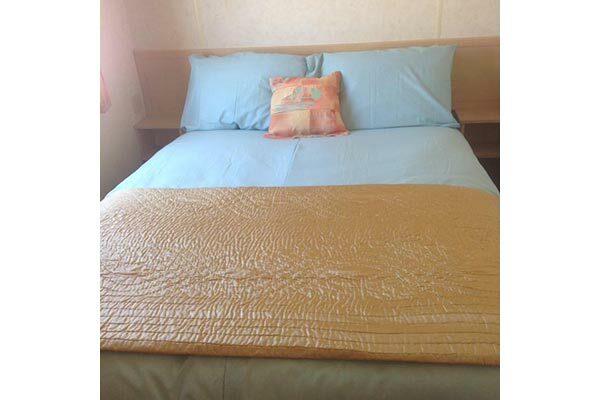 All quilts and pillows are and bedding are provided. 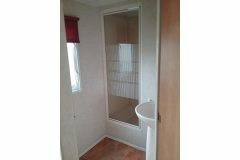 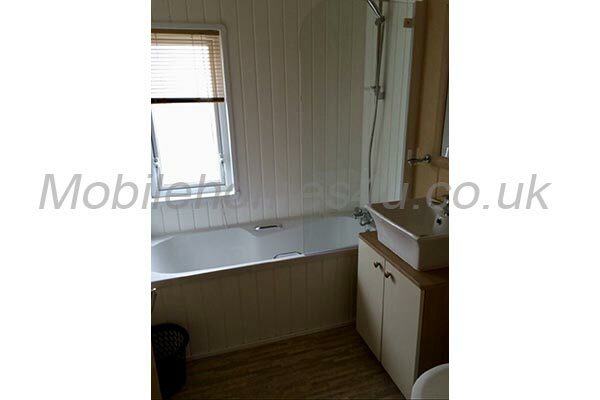 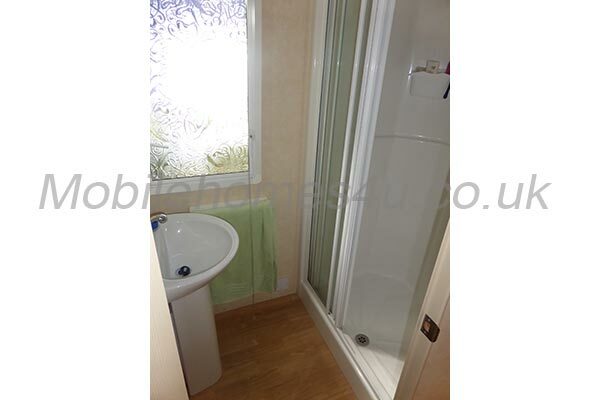 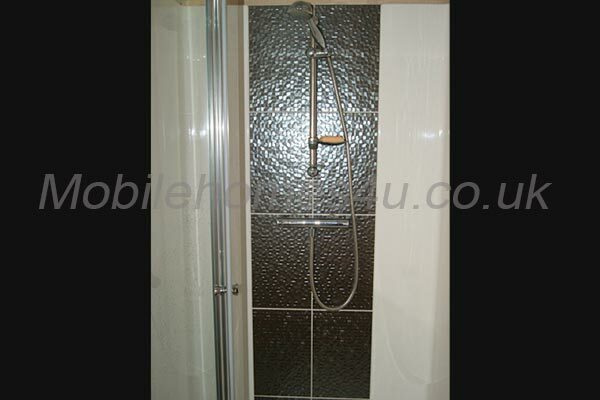 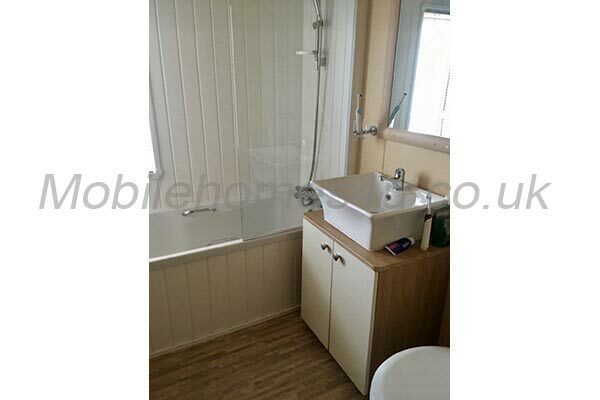 Shower room plus a separate WC. 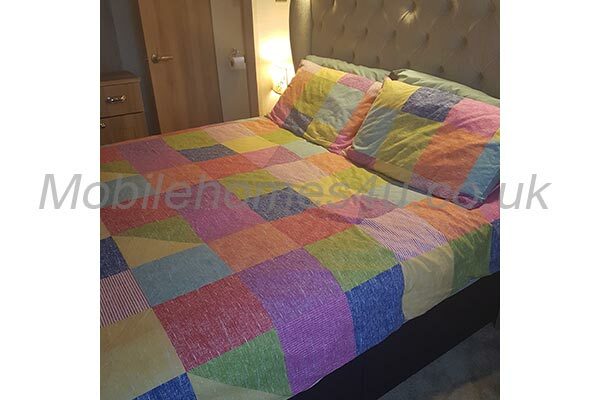 All quilts and pillows are and bedding are provided hence the price. 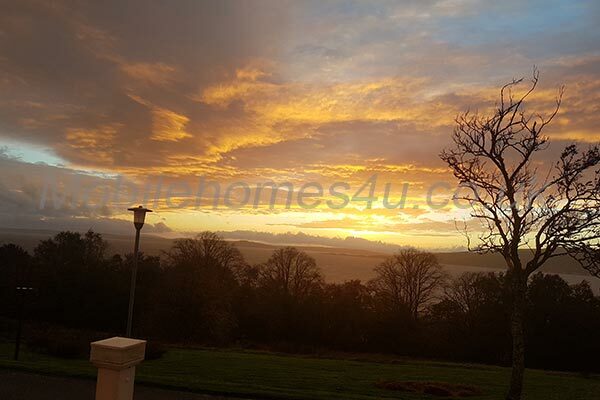 Short breaks are available off peak only please contact for more information. 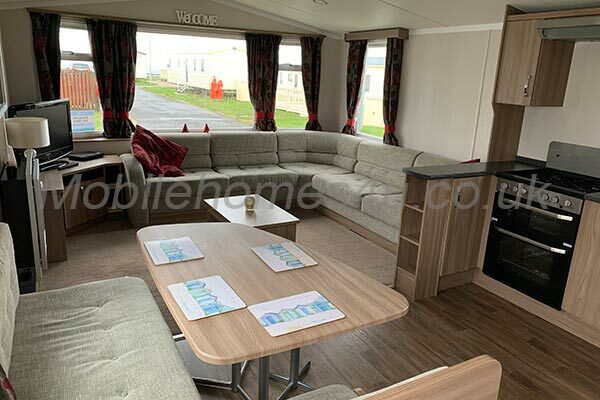 Deposit: Please note a £50 deposit will be required to secure booking which is none Refundable on cancellation, 4 weeks before pay the balance by bank transfer. 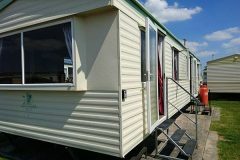 plus a £50 breakage bond on arrival which is returned within 2 weeks after departure if caravan has no breakage and caravan is left clean.